Do you struggle to understand client metaphors? I felt like my son’s pediatrician had punched me in the gut when she said my twelve-year-old son Jason was dying. After the doctor visit, I obsessively repeated in my head, “he will be dead.” I couldn’t stop focusing on feeling hopeless and on a mental image of his aorta exploding into smithereens. How was I making myself feel stuck? By focusing on a self-sabotaging metaphor. Clients do just that. They mentally focus on what they can’t do. Know how you love seeing those “Aha!” client moments when they get it? A Crash Course in Creating Hypnotic Scripting Metaphors for Client Transformation holds the key to helping your client unlock their mental stuckedness. Discover how to help clients clearly identify and transform self-limiting metaphors using this book’s in-depth training. Unearth how to make known to your clients the real intention behind the metaphor. Once your client knows the metaphor’s self-limiting intention, he or she can easily transform and release it. This book’s simple 3-step process reveals how your client illogically links thoughts which no longer provide him or her value. When clients discover there is no personal value of continuing to live according to the metaphor, the self-limiting behavior vanishes. National Guild of Hypnotist (NGH) members can save about $1000 in travel costs by taking the course via email. Complete the homework and get 15 CEU credits. And get Susan’s unlimited email support while taking the course. Wow! What a value? I’m the type of person who likes to get repeatable, predictable results from using a process. When it comes to Susan’s A Crash Course in Creating Hypnotic Scripting Metaphors for Client Transformation, you’ll love her 3-step process for identifying a client’s metaphor. Metaphors express beliefs that keep clients trapped in indecision, overwhelm, fear, worry, PTSD flashbacks and generally stuck in life. That’s why knowing how to clearly identify a client’s metaphor you more quickly facilitate resolving client issues. If you love getting great results for your clients, you’ve got to get Susan’s new book. You’ll be glad you did! By instant download, get your copy of A Crash Course in Creating Hypnotic Scripting Metaphors for Client Transformation. Start learning the keys to revealing metaphors in as fast as ten hours. Order today! For practitioners only. How Can The Control Panel Technique Give Your Clients Natural Pain Relief? Did you know that the most successful consulting hypnotists are the ones that know and can use many different hypnosis methods and techniques? How prepared are you to meet and surpass your clients’ many challenges? The Control Panel Technique helps clients use the power of their own mind to manage pain, focus, concentration skills, worry, just about any thought-based, self-limiting habit. Several different cutting edge hypnosis techniques ensure you are fully prepared to guide your clients to successful challenge resolution. Once again Susan Fox helps her colleagues in her phenomenally explicit The Control Panel Technique. Contained in this thoroughly explained ebook you get hypnosis scripts that can help return wellness harmony to the physical body. She uses her personal ‘hot gall bladder’ experience to show how it all works. Imagine what it would feel like to be more empowered, confident and happy. 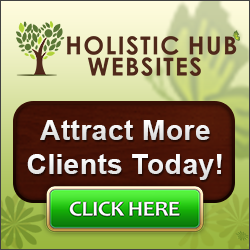 What would that be like for you and your clients? As an added bonus, she shows you how to work with chronic pain. Going the extra mile for you, she jam packs The Control Panel Technique with a prosperity attracting script. This easy to read book for professional hypnotists is a great addition for your weight loss and stop smoking clients, too. And, as a final bonus, she reveals a unique case where a teen-aged client suffering from dyslexia and manic depression used The Control Panel Technique to shut off the head noise distracting him from doing well in school. You’ll love discovering how she describes how he successfully helped himself in school using a clever ideomotor response mechanism. It is PURE genius. Just added is a script using The Control Panel Technique for Cancer Clients. At only $29.95 USD this ebook is a MUST HAVE steal for your hypnosis training library. For practitioners only.